Click cover to get it! Despite being a self-described "fraidy cat," I've always loved scary stories. There's something about the feeling of being scared, the way it sticks in your mental craw and comes back to visit you later, that I find so satisfying. So when I sat down to write and self-publish my first short story, I thought something scary would be a great place to start. 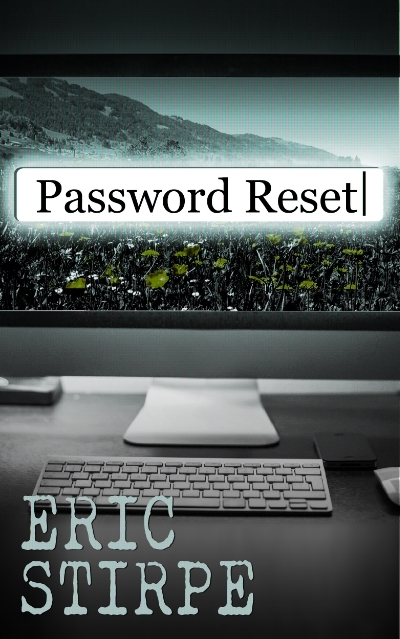 "Password Reset" is a short story inspired by my love of the distorted mundane - The feeling of something that isn't quite right and the slow feeling of dread that that can create. It's a strange little story I've had floating in my head for a while probably more-than-a-little inspired by my childhood fascination with "Goosebumps." This is the first of (hopefully) many short stories that I publish in the coming year, and I hope that you enjoy it - Click here to go check it out! Posted in Short Story, My work and tagged with Fiction, Horror. October 30, 2015 by Eric Stirpe.